In this video I discuss the technique of ‘Myofascial Needling’ for treatment of medial tibial stress syndrome (MTSS). 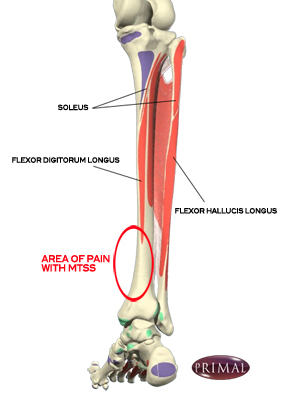 Also discussed is the current therories concerning the pathophysiology of this condition, as well as a new proposed test for diagnosing MTSS in situations of tibial microfracturing. I utilize myofascial needling in order to induce cytoskeletal remodeling in the connective tissue fibroblasts, thus releasing planes of fascial tension. Much of the work regarding intercellular connection and signaling in connective tissue was done by Dr. Helene M. Langevin who works in the College of Medicine at the University of Vermont. Her work focuses on unspecialized “loose” connective tissues that form an anatomic network throughout the body which she hypothesizes functions as a body-wide mechanosensitive signaling network that is responsive to mechanical forces over different time scales. Such connective tissue signaling would be affected by changes in movement and posture, and may be altered by pathological conditions (eg. Local decreased mobility due to injury or pain). Connective tissue thus may function as a whole body communication system. 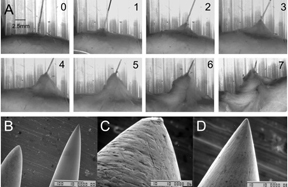 Her work also demonstrates the potential affect of needling fascial planes to alter fascial/connective tissue composition by creating small mechanical forces with needle manipulation (rotations) as is discussed in the video. ← Spinal Rehab: Time to stop babying it!